September 17, 2017 - Hundreds of people who are allegedly responsible for the death and displacement of people in the conflict between Oromia and Somali regional states have been apprehended, said Minister of Ethiopian Government Communication Affairs Office, Dr. Negeri Lencho. He also stated that the suspects have been detained in connection with the conflict as part of the effort to restore peace and bring the responsible persons to justice. "People who took part in the conflict are apprehended. Maybe hundreds of people are already detained. In Oromia regional state, particularly in Aweday, nearly 200 persons are detained", added the Ethiopian official. 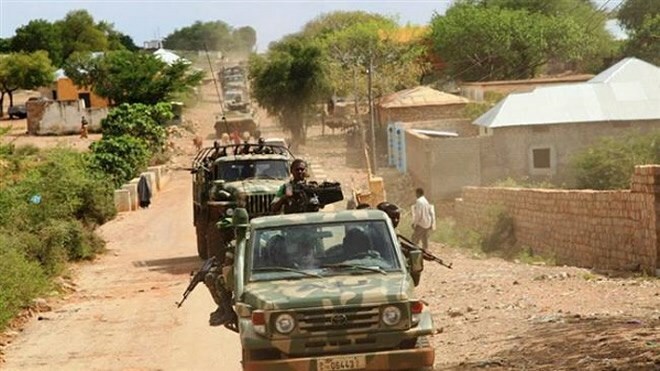 The Minister said the Defense Force and Federal Police were deployed to the area to control the situation and restore peace. Efforts have been exerted in the past to enable the two sides resolve problems related to demarcation of administrative borders through mutual concession and participation of local communities. These efforts have led to the signing of agreement between the two Ethiopian regional states sides to resolve problems related to administrative boundary demarcations in April this year. But recently, the two sides have entered into conflict, which Dr. Negeri said due to unknown reason. The Defense Force and Federal Police deployed to the areas are working closely with the regional forces to control the situation, he added. According to the Minister, leaders of the two regional states, community elders and religious leaders are working together to resolve the conflict peacefully. Extending condolences to families of dead, Dr. Negeri said efforts are being exerted to rehabilitate people who are displaced due to the conflict.